I just bought the 2018 Honda Fit Sport... and I know the 2015 parts fit the car... However... I having a hard time finding the short shifter. I do see the GD3 and GE8 have the same config for the shifter... is it the same for the GK? If you know a link feel free to post. As it happens, i too just bought a 2018 sport a few days ago and had the same question. 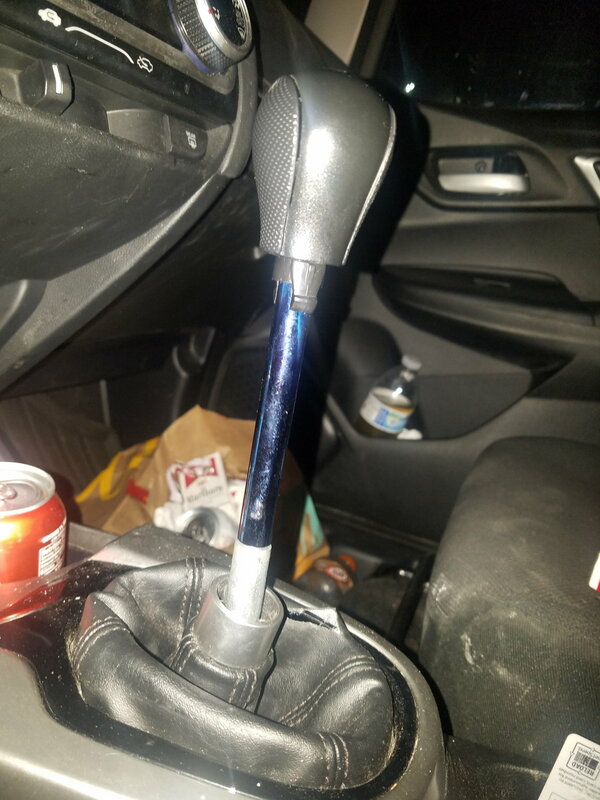 Since i was worried it wouldn't fit the new model, I called Buddy Club and they said the H007 short shifter for GK5s was incompatible with models past 2014.
nisco, have you found that to be untrue? Now, you mention Acuity, and I'm 100% down with waiting for one from them. I sent an email asking about it; their other products are great, and their presentation is decent. I added the Acuity shifter cable bushings to my 18 Sport. They improve the shifter feel immensely with a much more positive and mechanical feel. I actually feel the shift throw is just right for a stock shifter. I have a 2015 EX. I bought the buddyclub short shifter. (Crz shortshifter) I did have to whilden some of the mounting areas on it to get it to bolt in. Other than that, the cables connected without a struggle. The throw is a deal shorter than stock. I did add a 3 inch extension as well which did add length to the throw but keeps the knob closer to the wheel. I've been using that set up for 2 years now. No issues and love the set up. I have both the Buddy Club short shifter (mentioned above) and the Acuity bushings. If I had the money to do only one, would do the short shifter. I installed both, the acuity shifter bushings and the modified short shifter, and feels great! "Why does the shifter now sits lower, feels more solid/stiffer and its way more sorter between gears...?" Mugen + H-Fit = Short-Short Shifter! Mugen Short Shifter vs T1R Short Shifter or Others? 2018 Fit without alarm; Is the immobilizer already enough ?